There might be no hotter term in the world of digital audio than "podcast." You may have heard people talking about all the podcasts they listen to, but you may not know what the term means or how it relates to your iPod or iPhone. Read this article to find out. A podcast is an audio program, like a radio show, that is made by someone and then posted to the Internet for you to download and listen to with various compatible devices, including iTunes or on your iPhone or iPod. Most podcasts are free for you to download and listen to (though many podcasters have introduced paid premium tiers to support their work while keeping their main podcast content free). Podcasts vary in their level of professional production. 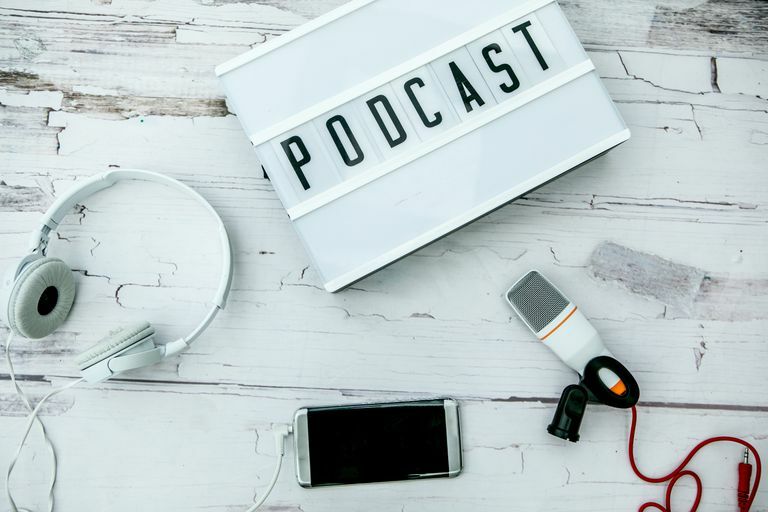 Some podcasts are downloadable versions of national radio programs like NPR's Fresh Air or ESPN's Mike and Mike, while others are companions to shows or personalities from other media such as The Jillian Michaels Show. Another type of podcast is produced by just a person or two, like Julie Klausner's "How Was Your Week?" In fact, anyone with some basic audio recording tools can make their own podcast and submit it for inclusion at iTunes and other podcast sites. Interested in making your own podcast? Check out our article What Kind of Equipment Do I Need to Podcast? Podcasts are just standard MP3 files, so any device that can play an MP3 can play a podcast. Almost anything, really. People make podcasts about any subject that they're passionate about — from sports to comic books to comedy, from literature to cars to movies. Some TV and radio show even have podcasts of their latest episodes or as supplements to them. Some of the most common formats for podcasts include interviews, serialized reporting or fiction, comedy, and discussion. Opening the iTunes program on your Mac or PC. Clicking on the menu in the top left corner. Clicking Store in the top center of the screen. Here you can search for podcasts based on topic, title, or browse featured selections and recommendations from Apple. You can also find podcasts on major audio sites and services like Spotify, Stitcher, Google Play, and Alexa. You can listen to podcasts on computers, but there are also a series of great apps for the iPhone and other iOS devices to help you find, subscribe to, and enjoy podcasts. Castro: Episode recommendations and playlists of podcasts. Users can share podcasts with iMessage app and non-Castro users can listen via the web. Downcast: Sync listening status to other iOS devices via iCloud. Includes an Apple Watch app and CarPlay support. Overcast: Get recommendations from Twitter and elsewhere. Playback at multiple speeds. Includes Apple Watch app and CarPlay support. Free, with in-app purchases. Podcruncher: Automatic downloads of your favorite shows and detailed playback controls, including six different playback speeds, gestures to control playback. Even supports password-protected podcasts. Stitcher Radio: Personalized "front page" presents content from your podcasts in an attractive format. Create playlists of podcasts. Includes CarPlay support. Free, with in-app purchases.